As you may have noticed, I am a huge fan of healthy recipes of all kinds – vegan, low carb, gluten-free, etc. And every once in a while, I have no idea what to prepare for my family. You know, we get bored with the same ol’, same ol’ dishes. So, I am always on the lookout for inspirations from famous and not-so-famous cooking geniuses who present their culinary talent through the power of the internet! Because even if a recipe has just a slight twist or a spin, it still has its own unique flavor! And I have found the perfect platform to sift and sort through the plethora of amazing recipes out there matching my specific needs and criteria – the Yummly app! I am so impressed with this website that I felt the need to present it to you, so you can take advantage of its awesome features as well. And, take a big breath – it is absolutely FREE to use! Yessss! Simply head over to yummly.com and create your account from the button at the top right of the screen. The awesome thing about the Yummly app is that you can find a recipe which is just right for your preferences and specific diet plan! For example, you can search for specific ingredients, tastes, diets (paleo, vegan, vegetarian), and for the nutritional value of the meal (low carb, low fat, high fiber, etc.). Also, you can exclude allergens like dairy, nuts, gluten, etc. But that’s not all! The Yummly app lets you sift through specific cooking techniques (baking, roasting, canning, etc.) and special cuisines from all over the world! What you need to do is click on the magnifying glass at the top of the page and find what you are looking for! Remember to grab my FREE book bundle packed with awesome immune-boosting recipes (and a ton of more yummy meals and cleansing rituals!). Click HERE and grab them! When you find a recipe you want to save and try out later, you can simply “yum” it and it will be stored in your personal recipe box. Press the Yum button and that’s it! If you wish to save it in a particular section (desserts, main course meals, etc. ), just tick the relevant checkbox! The same goes for saving a recipe from a website – look for the Yum button and add the dish to your collections. Easy as that! Find me and all of my recipes on Yummly HERE! 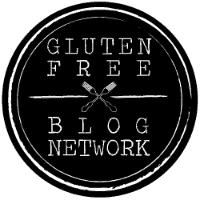 Stay tuned for more healthy recipes and articles! This entry was posted in Recipes and tagged gluten-free, healthy recipes, recipe, recipes, yummly. Bookmark the permalink.